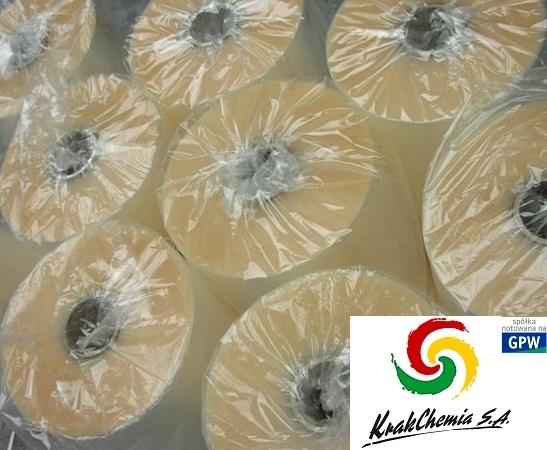 KRAKCHEMIA SA is a company with over half a century of tradition in the field of trade in chemical products. KRAKCHEMIA SA has in its offer the foils of the world's leading, proven producers. - direct use as packaging material eg for packaging flowers, textiles, fancy goods, toys, audio and video carriers (compact discs, cassettes), office supplies, medical supplies, cosmetics, food products (bread, pastas), confectionery (chocolate bars, wafers, cookies), salty snacks, etc. - as a component of multilayer films (for lamination), with the possibility of printing (flexographic and rotogravure).